– Introductory Lectures in Colorado: Home-Schooler’s Group in Boulder, Public Lectures in Boulder at the September School, and Denver Metaphysical Bookstore. – 4 Day Mystery School (2 consecutive Weekend Seminars at September School and StarHouse, Boulder). – 4 Days Seminars with Susan Magaziner’s: River of Light, school. 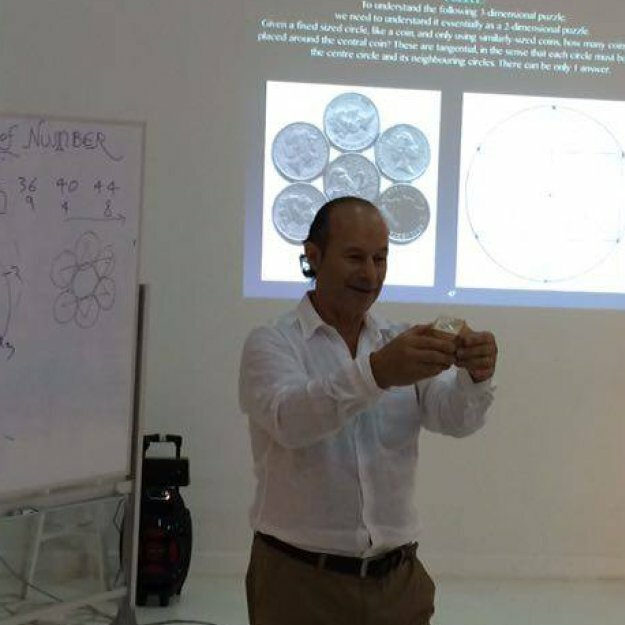 – 4 Day Seminars with Roger Green’s group. 5th to 8th May. – Make film, 1 hour, in New York City for “A Better World” cable TV. – I lecture for the Shambhalla Sydney Myster School. 27th July. – Spent 10 days (from the 10th to the 20th) with Suzan Magaziner and Tracy Hierigs, promoters of a new school in Sedona, called RIVER OF LIGHT. This was my second visit. – Meeting with Kranti Kiran (at Hyderabad, Andras Pradesh state), aged 29, the top and foremost Vedic Mathematician genius in all of India. We taught at many schools like Nalanda, Chaitanya, Warangal. Kranti organised 400 people involved in Infosys, Hi-Tech City, to attend one of my lectures. – 4 days of seminars with children and adults organised by Thangaraja Saravanan Kuala Lumpur. – Meeting with Gaurav Tekriwal of Kolkata. Taught 900 students at Birla High School. He manages a fantastic and highly educational newsletter in pdf formal called the “Vedic Mathematics Forum”. -Also became involved in the “Young Indians” program to work with underpriveleged children and to offer them a higher education.